Show your love in JVN66058. This elegant two-piece satin ball gown blooms with a romantic floral print. The flowers on the high neck halter top are outlined with delicate jewels, which also adorn the waist of the skirt. 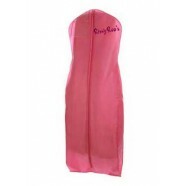 The top has plunge illusion sides, halter straps, and an open back, with zipper closure. The full, pleated, A-line satin skirt creates the perfect ball gown silhouette, complete with side pockets. Make sweet memories in this two-piece gown at a Sweet 16, prom, or pageant.